The sign of a great peach is when, after biting into it, juice runs down your chin. This is the quality that we strive for in Parlee Farms peaches, nectarines, and plums. We have 15 varieties of freestone peaches, three varieties of nectarines, and 8 varieites of plums that we harvest from early August into mid-September. Our Massachusetts peaches are available for pick-your-own ~ nothing tastes better than a when you pick your own tree ripened peach! We also pick the peaches, nectarines, and plums at the optimum ripeness so you get that tree-ripen flavor in our Farmstand without having to go to the orchard. 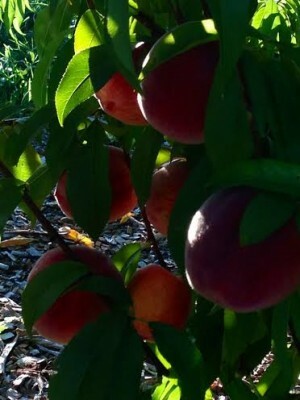 The peach orchard is a 5 minute walk from the farmstand. During the peach and nectarine season, details on pick-your-own hours and prices can be found at Today’s Farm News.